Left, Winifred Phillips at work in her studio. Video games are a spectacularly visual medium. From deadly mechanized juggernauts crashing across the charred landscapes in “Titanfall” to a remarkably detailed pigskin spiraling into receivers’ arms in “Madden NFL 25,” graphics are most players’ chief connection to the world of any individual game. But graphics, of course, are only part of the story. As games have grown more complex and immersive, their soundtracks have kept up: not just ultra-realistic car squeals and gunshots, but, increasingly, sophisticated musical scores written by professional composers. The best game scores are dynamic works of art in their own right, responding seamlessly to the player’s on-screen maneuvers, quieting in anticipation of a big battle or swelling in victory after it has been won. The wider world has started to notice. In 2012, the soundtrack for the PlayStation 3 game “Journey” was nominated for a Grammy in the Best Score Soundtrack For Visual Media category—a first for a video game score—going head-to-head against film soundtracks written by heavyweight composers like John Williams and Hans Zimmer. As the industry grows, talented musical minds who in the past would have been drawn to concert halls or conservatory professorships are instead learning the new, tricky skillset required of the game-music composer. 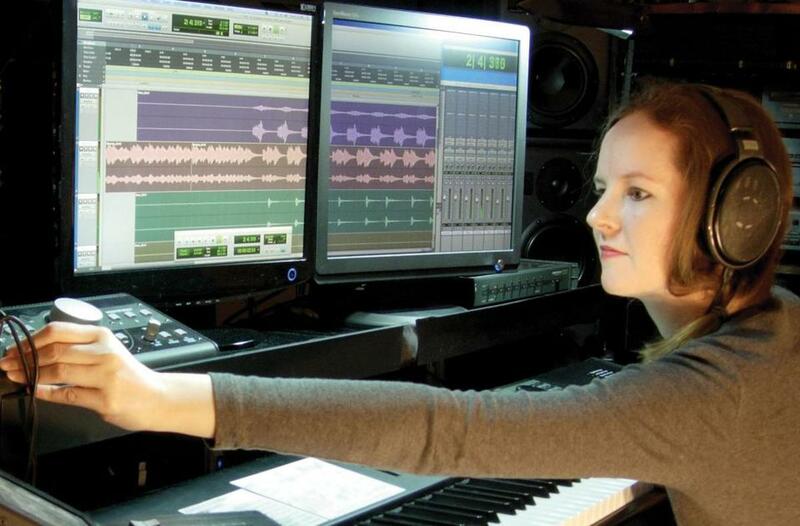 One of them is Winifred Phillips, a longtime composer for film, TV, and big-budget video games including “Assassin’s Creed Liberation.” Game music, she believes, is just as much a vehicle for creative expression as other kinds of composition—albeit one that comes with challenges and opportunities not found in more “traditional” composition environments. Phillips is the author of “A Composer’s Guide to Game Music,” out this month from MIT Press—the first book designed to help experienced musicians brave the transition to the world of game composing. She spoke with Ideas from her recording studio in New York City. 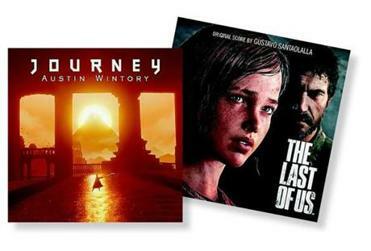 Soundtracks for video games such as “Journey” and “The Last of Us” are now sold as stand-alone albums. IDEAS: There are a lot of people who still consider video game music to be just sort of bleeps and bloops. PHILLIPS: It did start very much as a “bleep and bloop” world, but it has evolved quite considerably since then. I think the area of game music has progressed at the same level that games themselves have progressed....So now we’re looking at very complex compositions, sometimes full orchestras, live musicians. Sometimes some really innovative use of electronics, and lots of interesting sound generation. So it’s a marvelous forum for expression and for artistic experimentation. IDEAS: What games did you see as major breakthroughs in terms of their soundtracks? PHILLIPS: I think everyone really took notice of video game music in “Final Fantasy VII.” That’s a fairly early game, but it really arrested the attention of the game players in the final boss battle music with the villain, Sephiroth, when a live choir burst forth singing the villain’s name. That was something that was quite unexpected in games of that time, and I remember when I played that game and heard that, I was startled. It was very unnerving and exciting at the same time. IDEAS: What makes for a really good, powerful game score? What underwhelms you? PHILLIPS: The best game scores are the ones in which the composer is able to express his or her best artistic inspiration. So those are the kind that take you by surprise and intrigue you with different uses of instruments or different textures, different ideas, unexpected choices. That’s the kind of music that I think is the best game music. If you’re asking me what I think underwhelms...when game music isn’t given a chance to participate in the whole experience. When it’s relegated to being very background, not as interacting with the rest of the video game. Sometimes game music can be extremely communicative to the player about what’s going on in the game, how they’re interacting with the mechanics, the kind of goals that they have to pursue. Music can really have a conversation with the player. IDEAS: How would you describe a hypothetical game composer today? PHILLIPS: Well, I think we’re all game fans, first and foremost. We appreciate video games. We enjoy them. Some of us are avid gamers, and that really helps because it draws us to the profession. It makes us want to be video game composers, but I think there are also a lot of people who are crossing over from film and television composition and are discovering game music as a viable means of expression and a great career path. There are also electronic musicians and DJs who started out in that world. IDEAS: Your book points out that composing for games makes demands that other kinds of music don’t. PHILLIPS: The music needs to be able to react instantly to changes in the intensity or to different modes of gameplay. Exploration, combat, puzzle solving, stealth. This kind of reactivity that music needs to have forces the composer to look at music sometimes in terms of its component elements, to separate out the music into different parallel levels of musicality. To separate instruments into different channels which can be triggered depending upon what’s going on in the game. That kind of mental state for a composer is thoroughly different than the way a composer would think of music for any other form of visual entertainment. IDEAS: It sounds like you’re forced to juggle different considerations in a much more tricky way. PHILLIPS: Yeah. It is trickier, but it’s also quite interesting for a game composer, because it really does force us to think about music in very different ways than a composer for television and film would. So that, I think, has the potential to allow us to be inspired creatively in directions that composers for other media might not explore. IDEAS: There are a couple songs from “Final Fantasy II” for Super Nintendo that really burrowed into me at a young age, and if you go on YouTube, there are live orchestras performing them. PHILLIPS: Yeah, it’s fantastic. There are several series of video game concerts that travel the world performing this music, and there’s more music being created that’s suitable to concert performance all the time. IDEAS: It sounds like you’ve also enjoyed the quirkiness and enthusiasm of gamers and game developers themselves. PHILLIPS: That’s really very exciting for me, just watching all of the circus and the craziness that can happen at game conventions, game industry conventions, where you’ll see T-shirts fired out of cannons and warrior men and women in full medieval garb and just marvelous, huge displays of visual pyrotechnics. It’s just so raw, and that’s what’s so great about it. There’s no reserve. Game developers and gamers themselves, they don’t do things halfway. Jesse Singal can be reached at jesse.r.singal@gmail.com.